With the NFL's contract with DirecTV set to expire after this season, it was thought a new contract between the two that gives the satellite company exclusive rights to carry NFL Sunday Ticket could rise from $1 billion per year under the old contract to $1.4 billion per year in a new deal. Try a little higher than that. The NFL announced Wednesday that the league and DirecTV have reached an agreement on a new deal that, according to ESPN's Darren Rovell, is worth $1.5 billion per year for the next eight years. That means the latest contract is worth $8 billion more to the NFL (over four additional years) than its last deal with DirecTV. The league also retains DirecTV's rights to stream the Sunday Ticket on mobile devices and online. 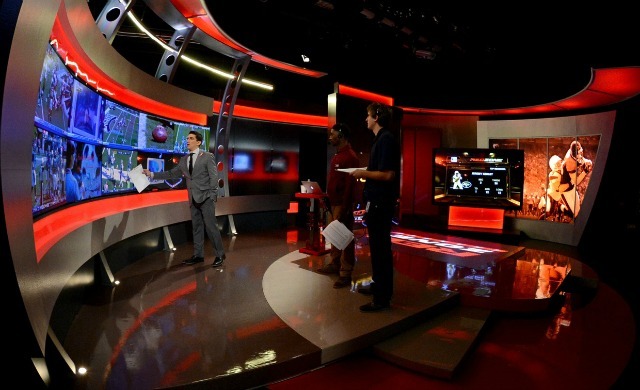 The satellite company will continue to broadcast the Red Zone Channel and the Fantasy Zone channel, which debuted for the 2014 season. "We are pleased to continue our partnership with DirecTV," said NFL commissioner Roger Goodell in a statement. "DirecTV and NFL Sunday Ticket have served our fans well for 20 years and continue to complement our broadcast television packages." CBS, Fox, NBC and ESPN all signed new deals with the NFL in 2011 and, with the exception of ESPN's $1.9 billion-per-year deal to broadcast Monday Night Football, the other three networks pay about $1 billion per year.